It consists of a logo made up of a graphic and the company name plus a strap line which emphasises what the company believes is important about itself. It is very nicely designed. Taken as a whole, I can’t fault it as a piece of graphic design for print or web site. The three elements - graphic, name and strap line - work well together. The design has a nice balance without being symmetrical. It is perfect for use on company documentation. Without the strap line to unify and balance it, I think the design takes on a clumsy one-sided look. I’ve always thought that the crown was a good place to put the W graphic, leaving only the name on the dial. Placing the graphic centrally above the name, as on the Seatime, would also work better than having the graphic and the name side by side. It is a lot to ask of a piece of graphic/typographical design that it should be suitable for company documentation as well as modern and classic styles of watch dial. I’m sure it can be done but this design doesn’t do it. Just my opinion. At the end of the day the only opinion that matters is Jörg's. Ian_O, Francois Boucher, kehyi and 1 others like this. As I will see, there is a lot of feedback for the new logo which is really bad. So, I asked to myself: Should I really post here? But after I have seen the dial with its new logo at the Antea 390, I told to myself: Yes you must! Sorry Jörg, but I hope that you will change your mind! It's certainly your decision changing the logo - but one of your strengths is to hear to your customers. I will definitely not buy a Stowa with this dial - sorry! Ian_O, Francois Boucher and Kronprinz like this. I’ve been staring at the new logo for the last few minutes, and I’m sorry to say that it doesn’t click with me. It is certainly sportier than the traditional logo and would be great on the Flieger TO or the Prodiver, but it seems a little too thick and muscular to cooperate with the design of watches like the Antea, Marine or 1938. Updating the logo is not necessarily a bad idea, but I wish they had worked more with the older logo in creating the new design (for example, finding a way to reference the traditional Stowa “S”). I know that a great deal of thought and discussion must go into decisions like this, but the end result just looks kind of basic and perfunctory to my eyes. That said, the new logo will not stop me from buying more Stowa watches in the future. I think its only a logo change.. Microsoft and Nike and other big company have changed their many times and they still sell. The new one looks good on the GMT world time but don't know why it isn't on the Antea 390. maybe too small or just doesn't suit classy dial as the others said. Thank you for the information. I much preferred the old Stowa logo because it's true to history (and vintage models), but all brands logo evolve with time and I'm sure I'll get used to the new one with time. Watches are fun IF you don't take them seriously. What bad timing (no pun)! I just decided to buy a Stowa after many many research and ambivalence between Stowa and 2 other brands. I started saving and I expect to be able to afford one in September 2013, but this news is really discouraging :( If the old logo isn't available anymore when I'm ready to order, I'll have to pass. Order now, you probably won't be billed until September anyway. I see a lot of comments about how it affects the history of Stowa to change a font on a logo. Seriously. A font in no way changes what Stowa has done in the past at all (which is to build high quality watches). Just like when Jorge took over the company, that major change in ownership (a much bigger episode than a font change) didn't take away from the history of Stowa either. It actually gave it a future. From one seeking not only a high quality German Made watch, but a high quality German Made watch from a company with a great history, I'd buy a new Stowa with the new logo in a heartbeat. The history of a company doesn't change just because a font type does. I agree. For me too, this new logo wouldn't stop me from getting a Stowa watch with the new logo on it. I am also convinced that this new logo will grow on several Stowa-enthousiasts that don't like the logo right now. It's not like the new logo is horrendous or anything close to that. I just like the old logo better and I can't see any good reason to change it. I'm glad I have a Partitio with the old logo. Last edited by turtje; May 30th, 2013 at 15:28. I get where you're coming from here. I think the issue that Stowa might want to be concerned about (and might not) is that there are a lot of options for very similar-looking watches out there, and if the potential customer can choose between a logo they like and a logo they don't like, they might go elsewhere with their money. It's a small piece of the watch as a whole, but we're dropping a good chunk of money on a piece of jewelry whose small details are something we relish. Would I have bought my MO with the new logo if I thought it was at odds with the "classic" look of the watch? Maybe not. Maybe I would have gone with a similar watch from another company whose overall aesthetic I liked better. Either way, my next Stowa will be a no-logo flieger. I had originally planned on maybe buying an Antea KS and Prodiver as well, but I'll have to revisit my feelings on the new logo on those watches at that time. Let's forget the Mercedes and Coke analogies. 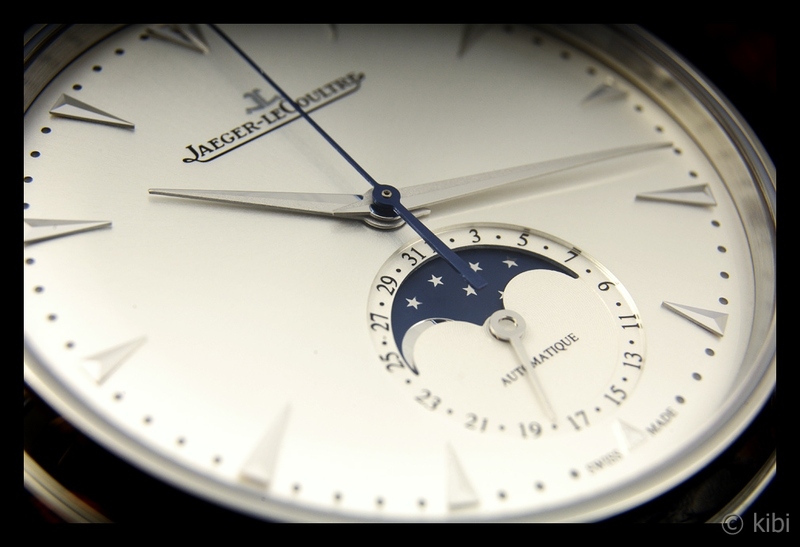 What would happen if JLC decided to change their font to this: JAEGER-LECOULTRE. Now imagine that font on this watch (photo credit to Kibi) and ask yourself if you would be more likely or less likely to buy that watch. To me the answer is clear, and so it is with Stowa. Don't get me wrong--I will always be a huge Stowa fan and proud owner, but will always be nostalgic for the old font. Ian_O and Sli like this. I think Fischer hit the nail on the head. The logo works in its entirety. I think it's also an issue of scale. Compared to, say, the large banner at the top of this page, the new logo looks slightly squashed on a watch face. I would reserve judgement until I actually see an 'in the flesh' photo though, as computer mock ups (which I think the stock photos are) may be exaggerating or even creating this perception.